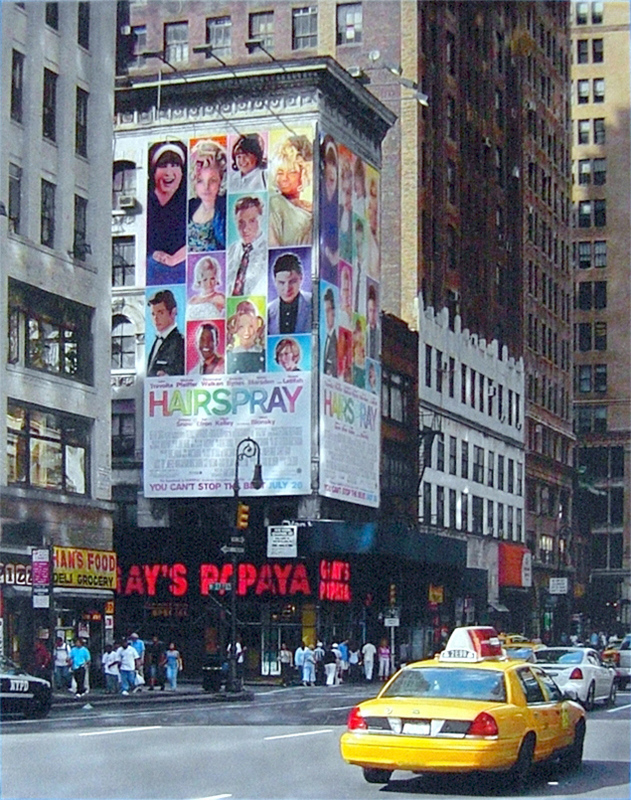 The Tony award winning musical HAIRSPRAY poster caught my attention when I was looking around midtown for interesting imagery. After taking photos, I didn't get to painting this until one year later, having travelled abroad for various shows, speaking engagements and competitions. The most difficult area of the painting was actually the cab and its dirty yellows. Creating many of the nuances of shadows and reflections in this work had indeed captured my own enthusiasm, as well as that of others interested in seeing the piece.